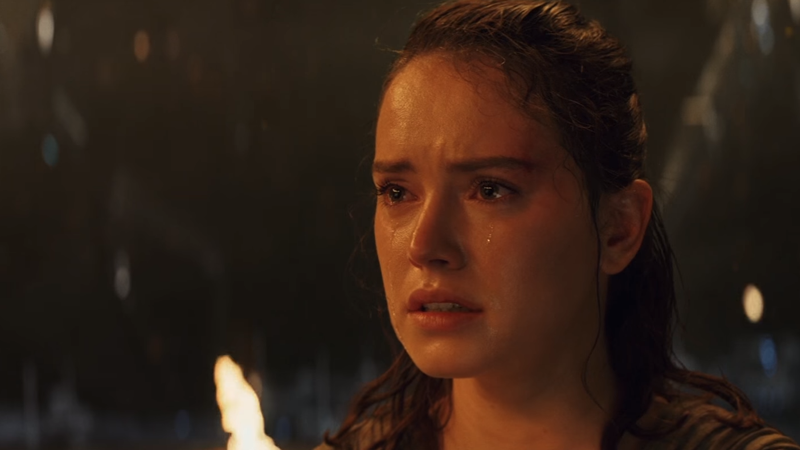 TFW you realize everyone’s still gonna be talking about your parents until Episode IX. Did you feel that? There has been a great disturbance in the Force. As if millions of Rey theorists suddenly cried out in terror... and were suddenly silenced. Well, actually, they’re probably about to start shrieking about clones and Kenobis and whatnot again, because actor Simon Pegg just reignited the debate around Rey’s parentage. I know what J.J. kind of intended or at least was being chucked around. I think that’s kind of been undone slightly by the last one. There was some talk of a relevant lineage for her. Instead of giving Rey a lineage that would’ve tied her to the familiar families of the saga (as fans had spent almost two years speculating), The Last Jedi saw Kylo Ren, in an attempt to make her join him in replacing Snoke, force Rey to accept something she’d always known deep inside: that her parents were nobodies, drunkards who abandoned her on Jakku for booze money. She, Kylo toxically intones, has no place in this grand story (though in reality, of course she does, either way). But allegedly, at least according to Pegg, that wasn’t always going to be the case. Pegg’s claims contradict previous comments from Daisy Ridley, who told Rolling Stone last year before the film’s release that the answer given in The Last Jedi is “what I was told in the beginning” while making The Force Awakens. So perhaps while at one point it was considered that Rey could be bound by blood to the wider Skywalker saga, it was ultimately decided she wouldn’t be—and what Pegg says was simply an early idea that never made it far into the process of hashing out this new sequel trilogy at Lucasfilm. At the same time, there’s still a chance that if Abrams did intend for Rey to have a “relevant lineage,” he could give her one. After the revelation in the latest movie, Last Jedi director Rian Johnson said that while he intended in the moment for what Kylo tells Rey to be true, there’s always the possibility Episode IX could reveal that moment to be a falsehood, leaving the door open for Abrams to pull his own “from a certain point of view” moment. Either way, if you thought we were done feverishly speculating about Rey’s parents... well, we’ve apparently got at least another year and a half of it on the way, if Pegg’s comments re-ignite the debate.